Why Chiropractic Care for Ear Infections? Let’s look a little more closely at the details that may unravel a surprising truth. According to the Center for Disease Control, CDC, three main types of ear infections exist and are called Otitis Media. Acute otitis media, AOM, may often be caused by bacteria and viruses, which is the first one. If fluid is involved then it may be called Otitis Media with Effusion, OME. This fluid may block the Eustachian tube. The Eustachian tube connects the middle ear to the back of the throat behind the nose. This is why you may experience a sore throat and drainage when there is fluid with the middle ear. Here we have the second case. Swimmer’s Ear, as it’s more commonly referred to, is called Otitis Externa. This third kind of ear infection can cause the ear to itch, become red and uncomfortable. Simply touching, or slight pressure, might be painful. A sign of the pressure is the redness, as well. Do you or your child experience the following symptoms? Each person is uniquely designed with 12 pairs of cranial nerves. The one we are concerned about, with the middle ear, is the eighth cranial nerve called the Acoustic or Vestibulocochlear nerve. As was discussed in other articles, the premise is the same: When pressure is exerted on a nerve, then function may decrease. When a lightbulb wire is kinked, what happens? That’s right, it flickers. What happens to nerve function in your body when a nerve is blocked by some means? Function has a tendency to diminish. This blockage many times manifests as pressure. An example you can do right now is squeezing your wrist. Just do this for a few seconds. No noticeable change, right? Right. Now squeeze your wrist for 5 minutes or 5 hours, or longer. That’s absurd, right. Right. No one would do this. But, what do you think happens when pressure is exerted on a nerve, either from fluid, as in Otitis Media with Effusion, or from another cause? Do you think this kind of pressure would hinder nerve function? Do you know nerves go to every vital organ in your body? These nerves need to flow freely to your organs. This example, however rudimentary, is how pressure possibly effects nerve and impedes the conduction of other vessels, again to your organs. 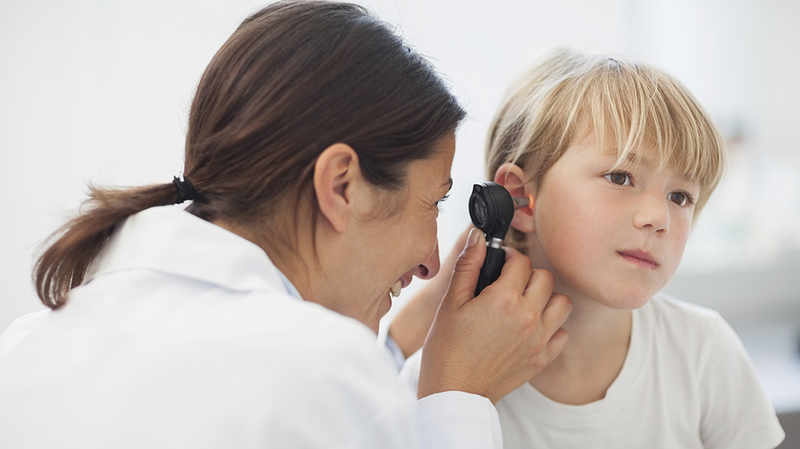 Chiropractic patients who have Otitis Media have experienced help from chiropractic care. The premise of Chiropractic is simple: increase the body’s natural response to an invading bacteria and/or virus. Whereas sometimes the body needs antibiotics, other times it might just need to function unimpeded. When the pressure is relieved, nerve flow runs freely, doing its job the natural way. Looking at it from another perspective, if your car doesn’t have a tune-up, what is the natural progression? Problems tend to be created and increase when basic care isn’t maintained. Your body is the same way. When basic problems arise, your body needs even more to function at its peak. Nervous system alignment, when your nerves are running unimpeded, your vital organs get what they need to keep you healthy and happy. If you are like many others who want to experience relief from ear infections, call a skilled chiropractor who can provide relief, the natural way, without drugs or surgery. Your body knows how to heal itself, when the nerve flow runs freely. Sleepless nights tend to cause irritability and even headaches. A visit today may restore rest and relaxation so you and your child can enjoy health and relief in the nights and the days ahead.